Boro Hall Pharmacy will be happy to supply your Group Home or Assisted Living Facility with medications, healthcare supplies, durable medical equipment and compounding services. 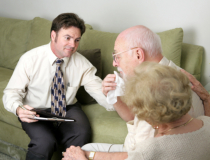 We want to help you provide the best care to your residents or clients. You may call us to inquire about prescription transfers, prescription refills, auto refills, special packaging and customized medications. Please request for quotes by calling us at 732-968-0414.